635 Australians have been recognised with Orders of Australia on Australia Day 2015, while a further 59 military and 130 meritorious awards were announced. Members of the tertiary education sector featured strongly in the honours list, with 81 awards, particularly in the upper categories. People associated with the tertiary sector received 4 out of the 5 Companion awards (80%), 16 out of 38 Officer awards were to people associated with the tertiary sector (42%), 46 of 156 Member awards (29.5%), for a 33% of the higher awards. 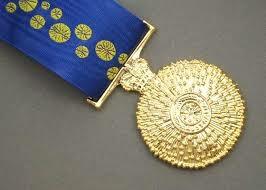 In the most common category of Medal, only 15 of 434 awards were tertiary sector related people (3.4%). Women continue to be under represented with 33% of all awards, mainly in the Medal category. Only four of the tertiary sector awards were to people in the VET sector. It goes back to the old ICBY motto: “you gotta to be in it to win it”. Unless you’re the Duke of Edinburgh, you’ve got to be nominated. Knight or Dame is is awarded for “ extraordinary and pre-eminent achievement and merit of service” to Australia or humanity at large. 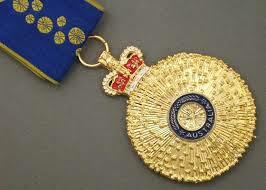 The Companion of the Order of Australia is awarded for “eminent achievement and merit of the highest degree in service” to Australia or humanity at large. The Officer of the Order is awarded for “distinguished service”. The Member of the Order is awarded for “significant service”. The Medal of the Order is awarded for “service”. For eminent service to medicine, particularly in the areas of clinical and biomedical research, to the development of ethical policy and practices for organ donation, acquisition and transplantation, and to renal medicine organisations and publications. Clinical Professor of Renal Medicine, Westmead Hospital. For eminent service to medical science as a prominent researcher of infectious diseases, particularly malaria, and their impact on population health in developing nations, as an advocate, mentor and administrator, and through fostering medical research nationally and internationally. Director and Chief Executive Officer, The Macfarlane Burnet Institute for Medical Research and Public Health, since 2008. For eminent service to medicine, particularly to cardiovascular endocrinology, as a renowned researcher, author and educator, to the development of academic health science centres, and to mental illness, obesity, and Indigenous eye-health programs. Senior Fellow, Prince Henry’s Institute of Medical Research. For eminent service to the tertiary education sector through executive roles, as an advocate for equitable access to educational opportunities, particularly for Indigenous, refugee and lower socio-economic communities, and to health, medical and health care research and cultural bodies. Vice-Chancellor, University of Western Sydney, 1998-2013. For distinguished service to nursing through the delivery of quality care, professional development and nursing education, and to the international advancement of the profession throughout Asia and the South Pacific. Professorial Fellow, Charles Darwin University. For distinguished service to tertiary education and university administration particularly through leadership and governance roles, and to the community. Vice-Chancellor and President, Edith Cowan University. For distinguished service to medicine in the field of bone health, through academic contributions and research initiatives in a range of administrative, executive and professional roles. Chair, NorthWest Academic Centre, University of Melbourne, 2005-2014; Assistant Dean, Faculty of Medicine, Dentistry and Health Sciences, 2005-2014. For distinguished service to conservation and the environment through research into greenhouse gas production, climate change and the efficient use of nitrogen fertiliser. Research Fellow, Commonwealth Scientific and Industrial Research Organisation (CSIRO), Plant Industry, Canberra; Senior Fellow, School of Resource Management, The University of Melbourne. For distinguished service to science through a range of public outreach, communication and education initiatives on a national and international level, and as a mentor and role model for young scientists. Adjunct Professor, Centre for the Public Awareness of Science, Australian National University, (ANU) since 1995. For distinguished service to intensive care medicine as a clinician, educator and researcher, as a pioneer in the introduction of the medical emergency team system, and as an advocate for the critically ill. Professor of Intensive Care, South Western Sydney Clinical School, University of New South Wales, since 1991. For distinguished service to tertiary education, to the strengthening of collaborative international education partnerships and cultural cooperation, and as an educator, role model and mentor. Pro Vice-Chancellor (International), Griffith University, 2003-2013. For distinguished service to medicine as a researcher and physician in the field of infectious diseases, particularly HIV-AIDS, to medical administration, and to the development of Australia’s biotechnology industry. Professor of Medicine, Monash University; Professor of Microbiology, University of Melbourne, 1992 – 2003. For distinguished service to tertiary education as an academic economist, to the development of public policy research, as an author, and through contributions to professional and financial organisations. Honorary Professorial Fellow, Melbourne Institute of Applied Economic and Social Research, Melbourne University; Professorial Associate, Melbourne University, 1996-1999. Emeritus Professor of Econometrics, School of Economics, University of Sydney, Professor of Economics, 2011-2012. Professor of Economics, School of Economics and Finance, University of Technology Sydney, 2010. For distinguished service to science through the development of cochlear implant technology, to biomedical research and engineering innovation, and to education and professional associations. Senior Vice-President and Chief Scientist, Cochlear Limited, since 1981; Associate Professor, Department of Otolaryngology, University of Melbourne, since 2001; Honorary Special Research Fellow, Bionics Institute; Adjunct Professor, Graeme Clark Centre for Bionic Ear and Neurosensory Research, La Trobe University, since 2009; Adjunct Professor, Macquarie University. For distinguished service to tourism, to education, particularly through international marketing, to the arts and sport as an administrator of institutions and events, and to the community of South Australia. Chief Executive, South Australia Tourism Commission, 1999-2007; Adjunct Professor Tourism, Flinders University; Head of School, Tourism and Hospitality, Adelaide TAFE Centre for Tourism Studies, 1986-1992. For distinguished service to medicine and medical research, as a leading urologist, a robotic surgery pioneer, a teacher and mentor, and as an advocate for prostate cancer awareness. Chairman, Department of Urology, St Vincent’s Private Hospital and Clinic, since 2003; Clinical Associate Professor, Sydney Medical School, University of Sydney, since 2013. Conjoint Associate Professor, Discipline of Surgery, University of New South Wales, since 2004. Director, Australian Prostate Cancer Research Centre, New South Wales at the Kinghorn Cancer Centre, since 2013 and Clinical Director of Prostate Cancer Research at the Kinghorn Cancer Centre. Clinical Head, Uro-Oncology Research Unit, Garvan Institute of New South Wales, since 1992. Clinical Professor, School of Health Science, University of Tasmania. For distinguished service to tertiary education and international relations, as a scholar, teacher and author, and in particular as an advocate for Australia’s engagement with the Asian region. Emeritus Professor, International Politics, Griffith University, since 2011; Dean, Faculty of Asian and International Studies, 1993-1994; Professor of International Politics, 1991-1997 ; Professor and Head, Department of Political Science, Australian National University, 1988- 1990. For distinguished service to medicine, particularly in the field of ocular immunology and immunopathology, as a clinician, researcher and academic. Associate Dean (Research) and Director of Medical Research, Faculty of Medicine, University of New South Wales, 2008-2014. For distinguished service to the mining and resource industry, particularly mineral exploration, through contributions as a geologist and academic, and in executive roles. Director, WH Bryan Mining and Geology Research Centre, University of Queensland, 2010; Advisory Board Member, since 2008; Adjunct Professor. For significant service to the Hindu community in Australia, to the fostering of crosscultural cooperation and networking, and to medical education. Honorary Associate, School of Molecular Bioscience, University of Sydney, since 2001. Former Professor and Head of Department, Department of Physiology, University of New England. For significant service to medicine in the field of paediatric anaesthesia as a clinician, administrator and mentor, and to medical education. Head, Department of Anaesthesia, Children’s Hospital Westmead, since 2002; Deputy Head, 1998-2001; Coordinator of Perfusion, 1990-1997; Senior Staff Specialist, since 1992. Clinical Associate Professor, Children’s Hospital Westmead Clinical School, University of Sydney, since 2004. For significant service to tertiary education and research in the field of genetics, and to the analysis and preservation of science history. Emeritus Professor, University of Adelaide, since 1992. Professor and Head of Genetics, 1956-1991. Dean, Faculty of Science, 1962-1963. For significant service to medicine, particularly neurology, as a clinician, author and administrator, and to professional medical legal organisations. Professor, School of Medicine, Griffith University, since 2005. Conjoint Associate Professor, Department of Medicine, South Western Sydney Clinical School of Medicine, Faculty of Medicine, University of New South Wales, since 2002. Visiting Professor, International Research Institute of Health Law Sciences, Southern Medical University, Guangzhou, China, 2010. For significant service to tertiary legal education through a range of academic and executive roles, as a practitioner, and to the community. Sub-Dean, Faculty of Law, University of Sydney, several years; Senior Lecturer, 1971-1994; Honorary Fellow, 2009. For significant service to public administration, particularly Australia-Britain relations, to business, and to tertiary education. Principal Advisor to the Vice-Chancellor, Monash University; Vice President, Marketing and Communications. For significant service to education, to professional standards development, and to improved outcomes for students. Senior Fellow, Graduate School of Education, University of Melbourne, since 2003; Director, Academic Leadership, 1990-1994. For significant service to public administration, particularly in the areas of mental health and ageing, through academic roles, and to the community.. Director, Health Policy, Mitchell Institute for Health and Education Policy, Victoria University, since 2013; Chairman, Aged Care Curriculum Advisory Committee, 1992-2000. Vice-Chancellor’s Professorial Fellow, Monash University, current; Founding Director, Monash Research for an Ageing Society MonRAS, 2006; Adjunct Professor, School of Political and Social Inquiry, 2004-2009; Tutor and Researcher, 1978-1980. For significant service to veterinary science education, particularly in the field of morbid anatomy and clinical pathology, and to professional associations. Head, Department of Veterinary Anatomy and Pathology, University of Sydney, 1999-2000; Director of Veterinary Pathology Diagnostic Services, 1992-2010; Acting Dean, Faculty of Veterinary Science, 2003-2004; Pro Dean, 2001-2003; Professor, Veterinary Pathology and Clinical Pathology, 2004. For significant service to library and information management, particularly to copyright law, and to education through electronic learning initiativesAdjunct Professor, Faculty of Law, Queensland University of Technology, since 2014; Deputy Vice-Chancellor, Technology, Information and Learning Support, 2003-2013; Director, QUT Bluebox, 2007-2014; ProVice-Chancellor, Information and Academic Services, 1996-2003; Director of Information Services, 1991-1995; Head of Division, Academic Support, and Librarian, 1988-1990. For significant service to engineering, particularly in the areas of environmental and geotechnical investigation, to business, and to tertiary education. Provided funds to establish a Chair in Sustainable Agriculture within the Faculty of Agriculture and Environment at the University of Sydney, 2008. Established the Judith and David Coffey Life Lab within the Charles Perkins Centre, University of Sydney, 2012. For significant service to medicine in the field of urology as a clinician, administrator and author, to cancer research, and to medical education. Head, Department of Urology, Royal Melbourne Hospital, since 2001; Professorial Fellow, Department of Surgery, University of Melbourne, since 2001; Associate Professor, 1999-2001; Senior Associate, 1990-1999. Post-Doctoral Fellow, University Texas, MD Anderson Hospital, Houston, 1980-1981. For significant service to the community through educational, medical research and arts organisations, and to business. Chairman, Board of Trinity College, University of Melbourne, 2005-2013; Chairman, Finance Committee, since 2003; Director, since 1987; Tutor, 1967-1972; Fellow, 1998. Director, Murdoch Children’s Research Institute, 1985-1987. For significant service to mathematical science in the field of statistics, as an academic, author, and mentor, and to professional organisations. Macquarie Graduate School of Management, Macquarie University: Professor of Management, since 2004; Board Member, 2007-2009; Associate Dean, Teaching and Learning, 2004-2007; Head, Operations and Technology Department, 2005- 2009. Member, Academic Senate, Macquarie University, since 2011 and 2007-2009; Chairman, Statistics Department, 1996-1997 and 1984-1985; Professor of Statistics, 1998-2003; Associate Professor of Statistics, 1992-1997. For significant service to the law as an academic, to legal reform and education, to professional development, and to the arts. President, Australian Law Reform Commission, since 2009; Commissioner, since 2007. Professor and Dean of Law, Macquarie University, 1999-2007; Honorary Professor, since 2010; Professor of Law, Faculty of Arts, since 1999. Former Chair, Council Australian Law Deans, 2002. Acting Dean, Faculty of Law, University of Sydney, 1997-1998; Head, Department of Law, 1996-1997; Pro Dean, 1994-1995; Associate Professor of Law, 1994-1999; Director, Graduate and Professional Relations, 1991-1995. For significant service to tertiary education through academic and administrative roles, to professional organisations, and to the arts. Professor, Teacher Education and the Arts, University of Sydney, since 2009. Acting Pro-Dean, Faculty of Education and Social Work, University of Sydney, 2013-2014; Acting Dean 2008-2010; Deputy and acting Dean 2007-2008; Associate Dean Academic 2006-2013. For significant service to medicine, particularly in the areas of public health and medical education, and to policy development and reform. University of Sydney Associate Dean, Academic Standards and Services, since 2014; Chair, Sydney Medical Program, Sydney Medical School, since 2010; Associate Dean (Learning and Teaching), 2010-2011; Associate Dean (Curriculum), 2007-2010. Adjunct Professor, Sydney School of Public Health and Sydney Medical School, since 2003; Adjunct Associate Professor,1999-2003; Sub-Dean (Research), 1999-2003; Acting Director/Academic Coordinator, Australian Health Policy Institute, 1999-2003. Senior Lecturer, Occupational Health and Safety, Faculty of Medicine, 1988-1990; Lecturer, Occupational Health and Safety, 1984-1987. For significant service to medicine as an endocrinologist, through contributions to medical research and professional organisations. Associate Director, MIMR-PHI Institute of Medical Research (Monash Institute of Medical Research and Prince Henry’s Institute); Head, Centre for Endocrinology and Metabolism, current; Head, Steroid Receptor Biology Laboratory. National Health and Medical Research Council (NHMRC) Senior Principal Research Fellow, since 2001; Principal Research Fellow, 1997-2000; Senior Research Fellow, 1994-1996; CJ Martin Fellowship, 1985-1987. For significant service to technological science, particularly to cybernetics and general systems theory, and to the community. Chief Scientist and Founder, NetMap Analytics (Node Link Analysis technology), since 1990. Adjunct Professor, Business Intelligence, Faculty of Business, University of Technology Sydney, 2003-2007. For significant service to medicine in the field of chronic pain management, and to medical education as an academic. Associate Professor of Medicine and Head of the St Vincent’s and Mater Clinical School, University of Notre Dame, since 2009. Conjoint Senior Lecturer in Medicine, University of New South Wales, since 2001. For significant service to tertiary education, particularly archaeology, as an academic, author and field researcher. Emeritus Professor of Classical Archaeology, University of Sydney, since 2004; Arthur and Renee George Chair of Classical Archaeology, 1990-2003; Associate Professor, 1977-1990; Senior Lecturer in Archaeology, 1964-1976. For significant service to science, particularly to electronic engineering, and to the community. Adjunct Professor, School of Physics, Electronic and Systems Engineering, University of South Australia, 1996-2006. Head, School of Electronic Engineering, 1990s. Professor and Director, Microelectronics Centre, 1983-1996. Faculty Member, 1962-2006. For significant service to science through major contributions to advances in chemical manufacturing. Professor of Chemistry and Science Lead, Victorian Centre for Sustainable Chemical Manufacturing, Monash University; current; Professor of Biochemistry, Department of Biochemistry and Molecular Biology, 1986-2002. Director, Special Research Centre for Green Chemistry, Australian Research Council, 2003- 2012. For significant service to international relations as an advocate of Australia-Indonesia cross-cultural understanding, and as an educator. Professor of South East Asian Studies, Murdoch University, since 1999; Senior Lecturer, 1995-1999; Lecturer, 1990-1994; Head, School of Asian Studies, 1998-2001; Chair, Board of Management, Asia Research Centre, since 2007; Research Fellow, since 1991. For significant service to information technology as a pioneer educator, and through professional organisations. Emeritus Professor, School of Information Systems, Deakin University, since 1999; Professor and Head, School of Management Information Systems, 1993-1999; Head, Department of Computing and Quantitative Methods, Victoria College/Prahran College of Advanced Education, 1980-1989. Professor and Head, Department of Software Development, Monash University, 1990-1993; Head, Department of Software Development, Chisholm Institute of Technology, 1990; Lecturer/Senior Lecturer in Computing, Caulfield Institute of Technology, 1967-1978. For significant service to the community through mental health support, research and education programs. Adjunct Professor, Deakin University, since 2013. Senior Lecturer, University of Melbourne, 2005-2012. For significant service to medical oncology through clinical practice, education and cancer research, and through a range of professional organisations. Professor of Medical Oncology, School of Medicine, Flinders University, since 2010; Associate Professor, 1999 – 2005; Senior Lecturer, 1989 – 1999. For significant service to economics, particularly in the area of international trade theory and analysis. Emeritus Professor, Faculty of Economics, University of Melbourne, since 2002; Ritchie Professor of Economics, 1995-2002; Dean, 1988-1994; Professor, 1983-2002; Director, Asian Economics Centre, 1997-1999; Lecturer, 1994-1996. Professorial Fellow, Australian National University, since 1981; Senior Fellow, 1970-1981; Senior Research Fellow, 1969. For significant service to a range of education, business, social welfare and community organisations, and to public administration. University of New England Minister-appointed Councillor, 2000-2014; Council-appointed Councillor, since 2014; Member, Audit and Risk Committee; Member, Tendering Committee; Member Remuneration Committee, 2006-2014. Director-General , New South Wales Department of Education and Training, 2002-2004; Managing Director, TAFE NSW, 2002-2004. For significant service to medicine in the field of epidemiology, particularly through academic research into illicit drug use. Program Head, Viral Hepatitis Epidemiology and Prevention Program, Kirby Institute, Faculty of Medicine, University of New South Wales, since 2005; Professor, School of Public Health and Community Medicine, 2003-2008; Deputy Chair, Research Degree Committee, 2004- 2008; Member, Human Ethics Advisory Panel, 2002-2010; Member, National Advisory Group, Australian Needle and Syringe Program, since 2004; Member, Reference Group, Illicit Drugs Reporting System, 2006-2008. Senior Research Fellow, National Health and Medical Research Council, since 2009. For significant service to medicine, particularly in the field of paediatrics and child health, as a clinician, and to medical education and research. Associate Dean and Head, Central Medical School, University of Sydney, since 2006; Associate Dean of Education, 2004-2005; Associate Dean and Head, Discipline of Paediatrics and Child Health, 1997-2003; Douglas Burrows Professor of Paediatrics and Child Health, 1998-2003; Past Deputy Chair, Human Ethics Committee. Professor of Medicine and Foundation Dean of Medicine, School of Health Sciences and Medicine, Bond University, 2003-2004. For significant service to the international community through humanitarian outreach programs, particularly health care and medical training. Clinical Associate Professor, Medical School, Australian National University, since 2010; Senior Lecturer, 1995-2010. Founder and Coordinator, Sai Australia Medical Unit, Sri Sathya Sai Organisation, since 1998; Zone Medical Coordinator, Pacific Region, since 2005. Organiser and volunteer, annual free medical camps to Fiji, since 2006; Volunteer teacher and clinician, Neurosurgery Unit, Sri Sathya Sai Institute of Higher Medical Sciences, Bangalore, India, 2007-2011. For significant service to education and to the law as a forensic psychologist, and as an academic, researcher and practitioner. Director, Centre for Forensic Behavioural Science, Swinburne University of Technology, since 2014 and Foundation Professor of Forensic Behavioural Science, since 2014. Director of Psychological Services and Research, Victorian Institute of Forensic Mental Health, since 2001. Foundation Professor of Clinical Forensic Psychology, Monash University, 2001-2013. For significant service to medicine in the field of gynaecological oncology through executive roles at state, national and international levels. Professor, Obstetrics and Gynaecology, University of Melbourne, since 1989. Consultant Gynaecologist, Peter MacCallum Cancer Centre and Mercy Hospital for Women, Melbourne; Deputy Chair, Oncology Committee, International Federation of Gynaecology and Obstetrics (FIGO), 2011. Chair, Organising Committee, International Gynaecological Cancer Society, current; Secretary/Treasurer, 2006; Chairman, Education Committee, 2000-2004; Chairman, Scientific Committee, 2000-2002; Scientific Chairman, 10th Meeting of the Society, Korea, 2002; Member, International Scientific Committee, 2006. Chair, Gynaecological Cancer Intergroup, 2010. Chair, Australian and New Zealand Gynaecological Oncology Group (ANZGOG), 2008-2012. For significant service to medical education in the field of occupational therapy, and to community health as a clinician working with Autism Spectrum Disorders in children. Head, Division of Occupational Therapy, School of Health and Rehabilitation Sciences, Faculty of Health and Behavioural Sciences, University of Queensland, 2001-2012; Professor, since 2009; Associate Professor, 2006-2009; Staff Member, since 1983. For significant service to education and the social sciences as an academic specialising in marketing theories and television advertising. Research Professor of Marketing, School of Management, Operations and Marketing, University of Wollongong, since 1999. Professor of Management, Australian Graduate School of Management, University of New South Wales, 1989-1999. For significant service to education in the field of clinical neuropsychology as an academic, researcher and clinician. Professor in Clinical Neuropsychology, University of Melbourne, since 1988. Member, Editorial Board, Epilepsia, 2010-2011 and 2011-2012. Member, Editorial Board, Neuropsychoanlaysis: Neuroscience Board, since inception of the Journal. Director, Clinical Neuropsychology, Austin Health Melbourne, since 2004. Honorary Professorial Fellow, Florey Institute of Neuroscience and Mental Health. For significant service to medicine in the fields of gastroenterology and environmental health, particularly the impact of global climate change. Mortlock Professor of Medicine, University of Adelaide, 1975-1997; Emeritus Professor of Medicine, since 1997. Head, Professorial Medical Unit, Royal Adelaide Hospital, 1975-1997. For significant service to medicine as a radiation oncologist, and through professional organisations and leadership roles. Radiation Oncologist, Prince of Wales Hospital, Sydney, since 1986. For significant service to medicine as a general and vascular surgeon, particularly through research and outreach programs. Senior Staff Specialist, Vascular and General Surgery, Cairns and Hinterland Hospital and Health Service District, since 2010. Visiting Medical Officer, Cairns Private Hospital. Clinical Associate Professor, School of Medicine and Dentistry, James Cook University, since 2007. For significant service to health science as an academic and clinician specialising in diet and nutrition. Professor, School of Medicine, University of Wollongong, Faculty Member, since 1990. Former Director, Key Centre for Smart Foods, Australian Research Council (ARC), 1999 – 2003. Former Director, National Centre of Excellence in Functional Foods, 2003- 2008. For significant service to the health care sector, particularly through policy development and reform, and to professional medical practice and standards. Professor of Medical Education, University of Sydney, since 2011. Adjunct Associate Professor of Ethical Practice, Faculty of Medicine, University of Sydney, 2000-2005; Chairman, Committee on Personal and Professional Development, 2000-2009. For significant service to medicine in the field of neurology, to medical education and administration, and through mentoring roles. Inaugural Associate Dean and Head, Sydney Adventist Hospital Clinical School, since 2011. Professor of Medicine, University of Sydney, since 2010; member of the team that established the Clinical School – the first fully fledged school in the Private Sector in New South Wales. Associate Professor of Medicine, Sydney Medical School, University of Sydney, 2004-2010; Chair, Human Research Ethics Committee, 2004-2008, 1995-1998; Senior Lecturer in Medicine, 1993-2004. For significant service to tertiary education in the field of chemical engineering as a senior academic, lecturer and mentor. Honorary Senior Lecturer, Department of Chemical Engineering, University of Queensland, 2000-2013: Senior Lecturer, 1970-2000. For significant service to tertiary education as a specialist demographer, and to professional organisations in Australia and overseas. Emeritus Professor, Faculty of Business and Economics, Macquarie University, since 2011. Member of academic staff since 1970. Honorary Professor, Menzies Centre for Health Policy, School of Public Health, Faculty of Medicine, University of Sydney, since 2010. For service to medical research in the field of infectious diseases. Professor, Institute of Health and Biomedical Innovation, Queensland University of Technology; Director, World Health Organisation (WHO) Arbovirus Reference Centre (ARC). Has undertaken dengue research in Myanmar since 1986. Assisted in the establishment of the Arbovirology Department at the Australian Army Malaria Institute in 2000. Excellence award from the Asia Pacific Society for Medical Virology. For service to international relations through voluntary health roles in Uganda, Mozambique and Tanzania. Volunteer, Kilimanjaro Christian Medical Centre, Moshi, Tanzania, 2004. Volunteer Professor and Chairman, School of Paediatrics, Catholic University of Mozambique, 2003-2004. Head of Paediatrics, Faculty of Medicine, Mbarara University of Science and Technology, Uganda, 1998-2002; Emeritus Professor, since 2002; During this period, opened a Paediatric Clinic, sought and obtained funding for the establishment of the Natasha Nutrition Centre and a Critical Care Unit from American and European sources. Volunteer, Paediatrician-in-Charge, Lacor Hospital, Gulu, Uganda, 1998. Visiting Professorial Fellow, School of Women’s and Children’s Health, University of New South Wales, 2012-2015; Head, School of Paediatrics and Professor of Paediatrics, 1990- 1998. Clinical Director, Prince of Wales Children’s Hospital (Sydney Children’s Hospital, 1990-1997. Fellow, Royal Australasian College of Physicians, since 1990. For service to tertiary and vocational education, and to business. Deputy Chancellor, Flinders University, since 2012; Council Member, since 2007; Distinguished Alumni Award, 2006; Chair, Board, Flinders Campus Community Services; Member, Strategic Resources Committee; Member, Governance Committee. Member, Executive Board, Institute of Learning and Development Professionals, current. Member, South Australia Taskforce, Trade Schools for the Future, current. South Australian Representative, Australian National Training Authority Board, 2001-2005. Co-Chair, Australian Disability Training Advisory Council, 2002-2005. Member, South Australia Light Manufacturing Industries Training Board, 1992-1998. Member, Vocational Education, Employment and Training Board SA (Now Training and Skills Commission), 1999-2003. For service to nursing, and to medical education. Clinical Nurse Consultant, Amputee Unit, Royal Prince Alfred Hospital, 1979-1995. Lecturer, NSW College of Nursing, many years. Lecturer, School of Medicine, Sydney University, many years. For service to education through the study of the history of religion. Adjunct Associate Professor in History, Flinders University, since 2002; Acting Head of History, 2001; Associate Head Academic, Faculty of Social Sciences, 1997-2001; Reader, 1988-1996; Senior Lecturer, 1972-1987, Lecturer, 1967-1971. For service to the community, to business and commerce, and to the financial sector. Board of Directors, Walter and Eliza Hall Institute of Medical Research, since 1998; Honorary Treasurer, since 1998; Chairman, Investment Committee, since 1998; Trustee, Building Project , from start to completion in 2012. Chairman, Melbourne Central Division, Salvation Army Red Shield Appeal, 1997-2006. Director, Power Assist (provides assistance to people with intellectual disabilities through basketball), many years; Volunteer at Basketball games, many years. Treasurer, St Matthews Anglican Church, Panton Hill, Uniting Church in Australia, many years. Member, Eltham Rotary Club, since 2008. For service to medicine in the field of psychology. President, Australian Psychological Society, 2000-2004; Director of Science, 1997-2000; Chair, 30th Annual Conference of the Australian Psychological Society, 1994-1995; Member since 1979. Honorary Fellow, 2007. Member, Board of Directors, International Association of Applied Psychology, current; Chair, 27th International Congress of Applied Psychology, Melbourne, 2003-2010; Fellow, 2010. Chief Investigator, National Health and Medical Research Council, no dates; Member, Research Fellowships Advisory Panel, 2002-2003. Member, International Union for Psychological Science, many years. National President, Australian Behaviour Modification Association, 1984-1985. Professor of Psychology, Griffith University, since 2011; Head, School of Applied Psychology, 2011-2013. Professor of Psychology, Monash University, 2006-2010. Director of Clinical Psychology, Monash Health, 2006-2010. Innovation Professor, Health and Clinical Psychology, RMIT University, 2002-2006. Head, School of Psychology, University of New England, 1996-2002; Director of Clinical Training, 1996-2002. Director, Clinical Psychology Unit, University of Western Australia, 1986-1991; Director, Adoption Research and Counselling Service, 1986-1991; Chair, Committee for Human Rights, 1990-1991; Chair, Teaching Committee, Department of Psychology, 1988-1989. For service to accountancy through a range of professional, academic, business and advisory roles. Professor of Accounting, Fremantle Campus, University of Notre Dame, since 2003; Dean, School of Business, 2006; Associate Dean, 2007-2008. Chair, External Advisory Committee, School of Accounting, Curtin University, 1991-2002; Member, Advisory Board, Curtin Business School, 1999-2002. For service to tertiary education, and to veterinary science. Principal, St Andrews College, 1999 – 2008; Acting Principal, 1996 – 1999; Vice-Principal, 1994 – 1995; Non Resident Tutor, 1975-1994; Fellow, (non-resident); Honorary Fellow, since 2008. Senior Lecturer, Faculty of Veterinary Science, University of Sydney; 1969 – 1999; Associate Dean for Professional and Community Relations; Chairman, Sydney Chapter of Heads of Australian Colleges and Halls, retired; Coordinator, Overseas Veterinary Students Clinical Training Program, 1978-1990. Member, Interview Panel, Faculty of Medicine, University of New South Wales, 2001-2006. For service to medicine, and to professional organisations. Senior Examiner, Australian Medical Council, since 2002; Examiner and Clinical Reference Panel Member, 1997-2009. Monash University: Senior Lecturer, Department of Community Medicine, 1976-1990; Alan Rose Teaching Practice named in his honour, 1990. Board Member, Victorian Academy for General Practice, 1976-1996; Secretary and Public Officer, 1994-1996. For service to the community of Melbourne. Honorary Treasurer, National Council of Women Victoria, 2002-2013. Honorary Treasurer, Home Economics Institute of Australia, since 2000; Fellow since 2001, Member, Victorian Chapter. Active Member, International Federation of Home Economics, since 1960. Treasurer, Victorian Branch, Australian Literacy Educators’ Association, since 2001. Member, Anatomy Cell Biology, Neuroscience, Pathology, Pharmacology and Physiology Animal Ethics Committee, University of Melbourne, since 2008; Member, Pharmacology, Physiology and Biochemistry and Molecular Biology Animal Experimentation Ethics Committee, 2003-2008. Member, Fine Arts Group (Not The Potter Gallery), since 1990. Director, Ursula Hoff Institute, University House, University of Melbourne, since 2006; Founder, Ursula Hoff Scholarship, since 2008. Member, La Trobe Society Committee, since 2004; Supporter, La Trobe’s Historic Cottage, ongoing. Founding Member, Redmond Barry Society, and Member, The Lyceum Club, State Library of Victoria. Founding Donor, Felton Society, National Gallery of Victoria. Foundation Vice-President, Friends of the Elms, 1996; President, 1998-2000; Member, since 1996. Senior Lecturer, Nutrition, Deakin University; Consultant and Author, 1990s. Member, Dieticians Board of Victoria, 1989-1994. For service to education in the disciplines of science and mathematics. Adjunct Professor, Murdoch University, since 2008. Established the After School Program in Mathematics and Physical Sciences held at Murdoch University, in 2001. Volunteer coordinator, teacher and author of all teaching materials for the program, since 2001. For service to engineering, and to education. Engineering Principal Fellow, Department of Infrastructure Engineering, University of Melbourne, current; Involved in developing and leading undergraduate professional ethics and management courses; since late 1990’s. Victorian Director, Institution of Engineers Australia (Engineers Australia), 1989 – 1996; Council and Congress Representatives, Victorian Division Committee, 1997-2005; Relaunched, Victorian Engineering Excellence Awards; Revived Victorian Engineering Week and the Rural Engineer’ Showcase. Independent Chair, Environment Review Committee, Energy Australia, Yallourn Power Station and Maryville Coal Mine, since 2000. For service to aerospace medicine. Specialist in aerospace medicine. Provided clinical support at the highest level to aircrew from 1965. Driving force behind the establishment of two post graduate courses to train doctors to conduct medical examinations of pilots: the Australian Certificate of Civil Aviation Medicine at Monash University in 1990 and the Post-Graduate Certificate of Aviation Medicine at Edith Cowan University in 1998. Developed a suite of computerised neuropsychological tests for military pilots which have been adopted by the Royal Australian Air Force and other air forces internationally. Member, International Academy of Aviation and Space Medicine, Australasian Society of Aerospace Medicine and Aviation Medicine Society of Victoria. Fellow, Australasian College of Aerospace Medicine. Medical Officer, Citizens Military Force, for 25 years. For service to medical education, and to the community. Senior Lecturer, Department of Anatomy, School of Biomedical Sciences, University of Queensland, 1973-2001; Preclinical Sub-Dean, Faculty of Medicine, 1977-1978; Honorary Life Member, University of Queensland Medical Society, since 1980; Established and lectured first undergraduate Forensic Osteology/Anthropology teaching program in Australia, 1991- 2001.